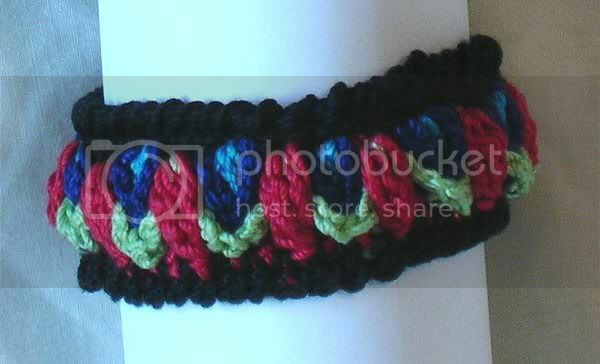 This is a bracelet made in overlay crochet. I used cotton crochet thread and a size E crochet hook. It is a bangle style bracelet and the feels wonderful to wear. The overlayed threads make for a substantial fabric. I'm really interested in learning how to make this kind of bracelet. Can you send me some instructions on how to please?